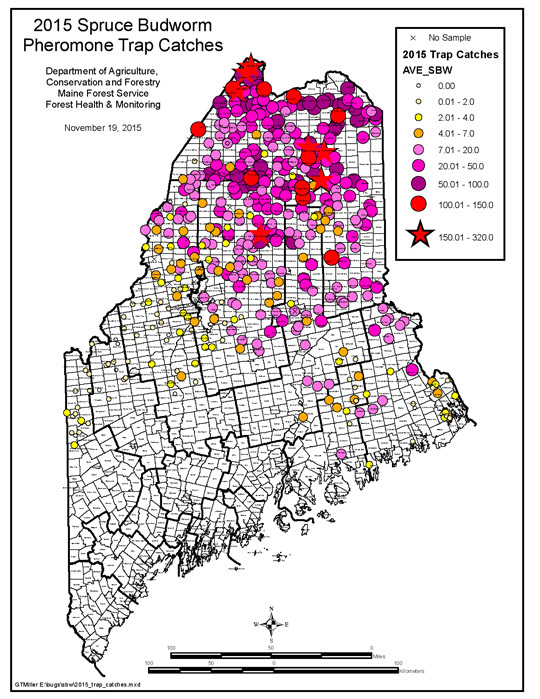 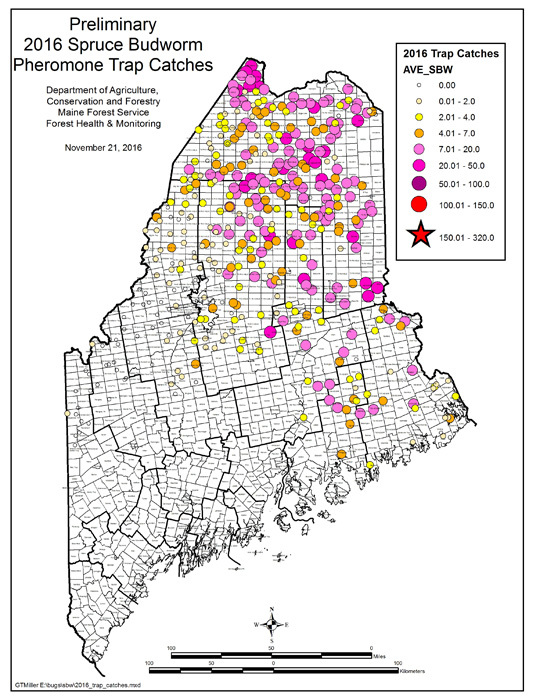 Beginning in 2017 current-year defoliation was quantified using the Fettes Method on a subset of MFS-sampled L2 sites and additional sites in northern Maine. 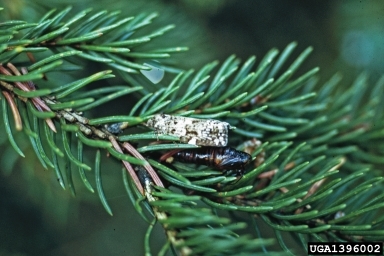 This method provides a systematic approach to measuring defoliation. 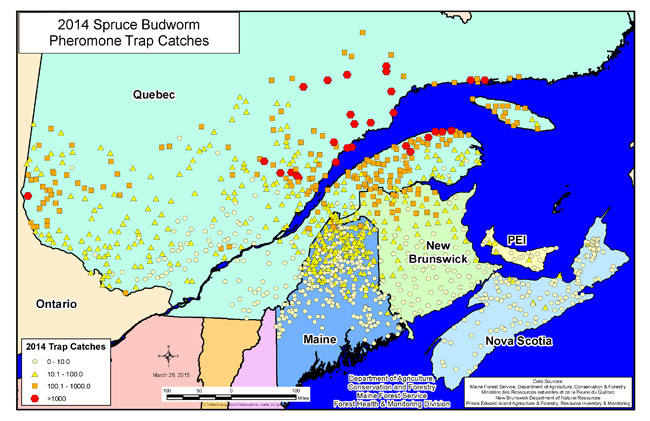 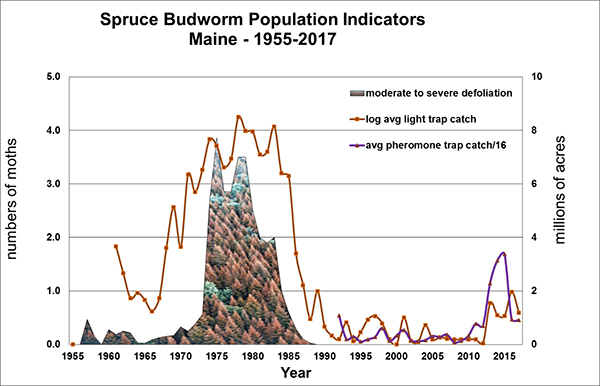 It was employed during the last budworm outbreak in Maine, and is currently in use in Quebec. 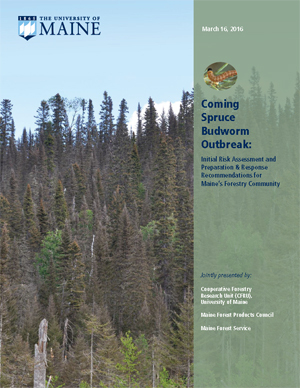 MFS staff received training on implementing the method in a July 2016 field training held in the Matapedia Valley in Quebec. 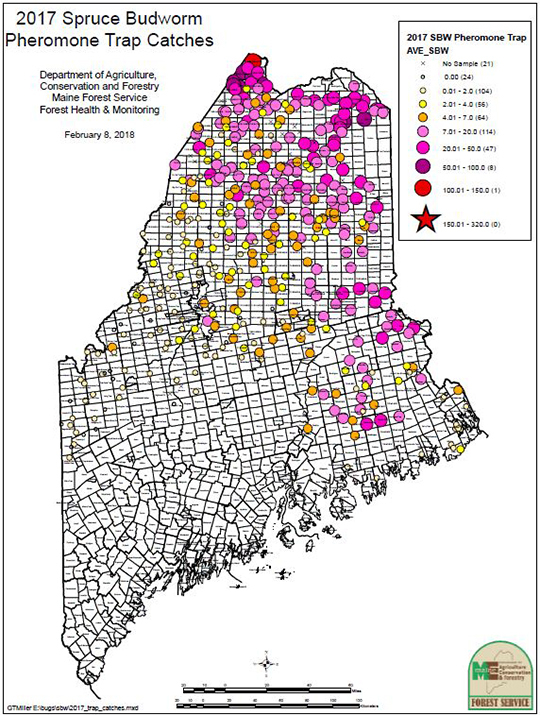 The Fettes method captures defoliation from all causes and can be used to estimate both current-year defoliation and cumulative defoliation. 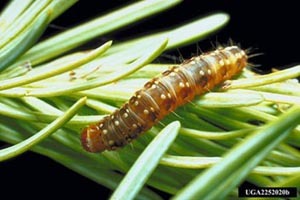 A brief introduction to the Fettes Method is provided in this document: http://www.sampforestpest.ento.vt.edu/defoliating/spruce-budworm/pdf/montgomery-etal1982-sbw.pdf.